I had a lot of t-shirts that I now longer wear as they were too big, worn out, or had stains on them. These shirts all had special meaning to them and I just could not part with them. Project Repat allowed me to keep my shirts and enjoy them in a new way. They made them into a blanket that is so cool. I can now snuggle with all my memories. How does Project Repat make a blanket out of my shirts? Visit http://www.projectrepat.com/ and choose the size of blanket you want and the color of the fleece that goes on the back. The blanket size will determine how many t-shirts you will need. Pay for the order and then Project Repat will send you instructions on how to get the shirts to them. Gather all your t-shirts and send them to Project Repat. Project Repat takes all your t-shirts and makes them into a blanket. I received a lap size blanket, which is great for snuggling with while you watch TV. Project Repat makes blankets from a lap size to a king size. I just love how soft my blanket is as the t-shirts I sent in were soft. This blanket makes a great gift. 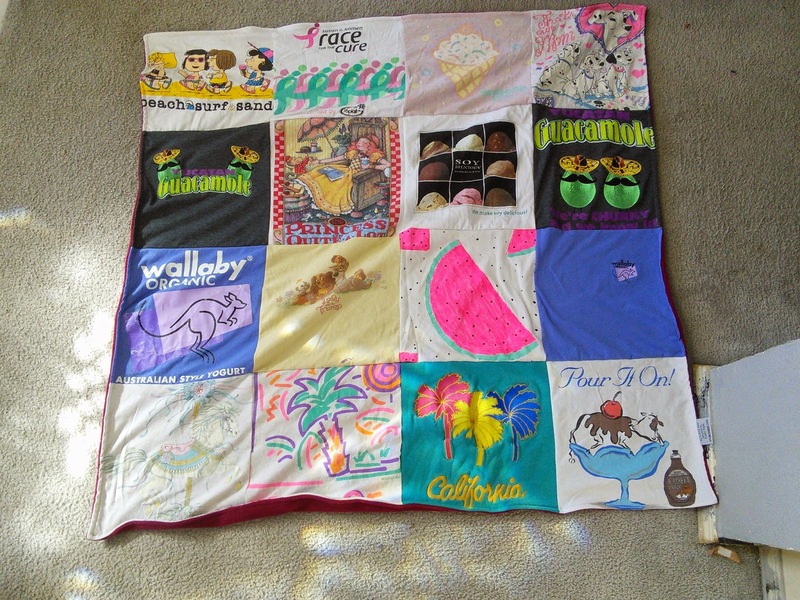 You can make a blanket out of all those cute baby clothes or out of shirts from all those races you ran. A sports person would love one made with his favorite team shirts This would make a great baby shower gift to a new mom. The possibilities are endless and you can use sweatshirts too. Another cool thing is, the fleece backing of the blanket is made out of recycled plastic bottles. Each yard of fleece is made from 23 plastic bottles that would otherwise end up in landfills. 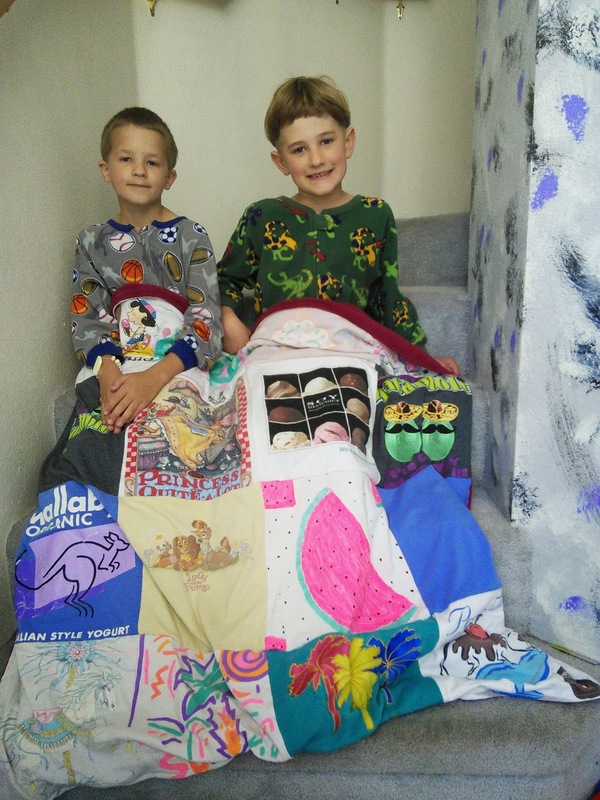 Check out how you can turn your t-shirts into a blanket. "These opinions are my own and I was sent a gift certificate to order a blanket with my shirts." I love thisl. I think its a great idea. Oh, how I wish I had saved all of my youngest daughter's school / event / ballet Ts! I love this! This would be such a great idea for all my son's old sports team shirts! I was a runner in my younger years and accumulated so many race tee shirts that I could not part with so kept them boxed up. This is perfect for them so they can live again and be upcycled. How cool! I've heard of this company before, but never saw a finished tee -shirt quilt. Thanks for sharing! this is so great. My kids have a big pile of t-shirts they want, but don't wear anymore and I would love for them to do something with them, like put them away. I am going to see if this is something they would do with the shirts. thanks for sharing!